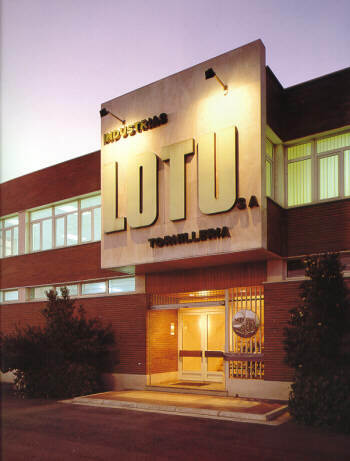 Navarra export catalogue - Industrias Lotu, S.A.
INDUSTRIS LOTU, S.A. Is a company located in Navarra (North of Spain) devoted to the manufacturing of quality screws using the cold hard-stamping process with an experience for over 50 years. Our sales policy is based in offering a hifg quality product accordingly to DIN specifications and with a relation among Service / Price / Quality which can be considered very competitive. We are Registered Company certified for ISO 9002 within EQNET (European Quality Network) since 1996 and now in process for ISO 14000. The range of our products includes all kind of screws sutables for metal, plastic, synthetic fibers, wood and special screws made under design on request. 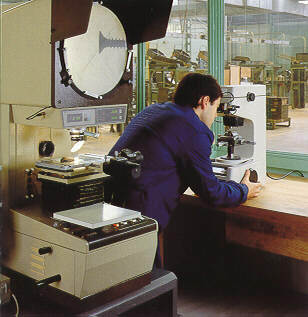 We are able to produce any screw with any head, any recess and any coating un to 6 mm. Our best and target customer are the manufacturing industries, whatever their activity field is (car industry suppliers, house hold appliances, electronics etc..) or the sholesalers who supply them. Our business is to manufacture screws according to the desgn and specifications of our cusomers and help them to find assembly solutions. Finally concerning communications we offer our customers the opportunity to contact us by a rational electronic data exchange.